With more than 800 wineries in Napa County alone, organizing a visit to northern California Wine Country can be daunting. CellarPass is a free, online reservation system that helps visitors make informed choices about which wineries to visit and then assists them in making reservations. The way the platform works is very similar to how OpenTable makes it easier for users to choose and book restaurants. A search tool allow visitors to pick from dozens of “points of interest” such as wine cave tours, barrel tastings, vineyard treks or food and wine pairings. They can also use the search engine to narrow down their choices more by varietals, such as Sangiovese, Cabernet Sauvignon or Super Tuscan Blends. I had the pleasure of interviewing Jonathan Elliman, founder of CellarPass, for a recent article I wrote for the PBS website NextAvenue.org. 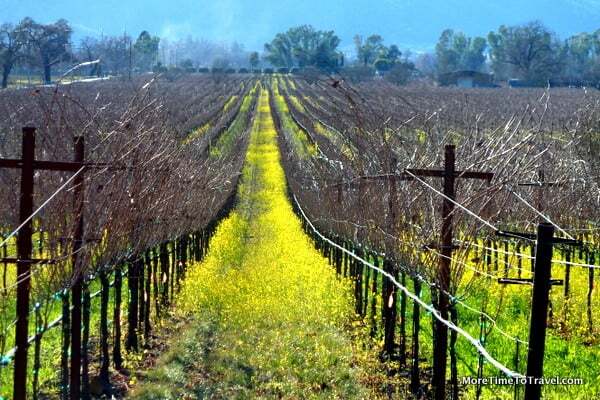 He noted that harvest season, which generally extends between late August and October, can be a perfect time to explore California Wine Country. “The hypnotic aroma of the harvest, the action in the vineyards and the blood, sweat and tears of the production teams are simply remarkable. Many wine country travelers don’t realize that harvest is a short period — two to three months and it’s done,” says Jonathan Elliman, the founder of CellarPass. Having grown up in northern California amidst the wineries and vineyards, Elliman offered his sage advice on how to make the most of a visit to wine country. You can read the interview in its entirety on the Next Avenue website.